Legends Hall-of-Fame Honoree: Jack McEntee, co-founder, I&D, Inc. The leader in trade show and corporate event marketing education, Exhibitor Media Group publishes the award-winning EXHIBITOR magazine a monthly publication featuring best practices in trade show marketing. 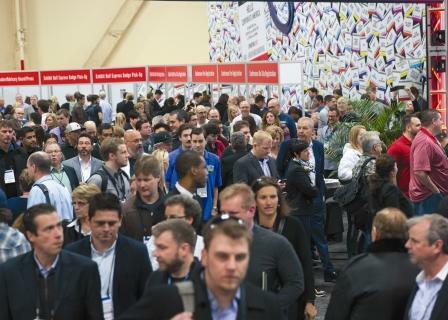 EXHIBITOR’S Learning Events include: EXHIBITORLIVE , the industry’s top-rated conference and exhibition for trade show and corporate event marketing; EXHIBITORFastTrak accelerated learning conferences; and EXHIBITOR eTrak professional online learning. Exhibitor Media Group is the founder and sponsor of CTSM (Certified Trade Show Marketer), the world’s only university-affiliated professional certification program. ( www.ExhibitorOnline.com ) Follow EXHIBITOR on Facebook, Twitter (@EXHIBITOR) and join EXHIBITOR’s LinkedIn discussion group. EXHIBITOR is a registered trademark, and EXHIBITORLIVE, EXHIBITOR FastTrak, and EXHIBITOR eTrak, are trademarks of Exhibitor Publications, Inc. in the USA and other countries. All company and/or product names may be trade names, trademarks and/or registered trademarks of the respective owners with which they are associated.